Besides development I'm very interested in expanding knowledge and constantly improving learned skills and techniques. 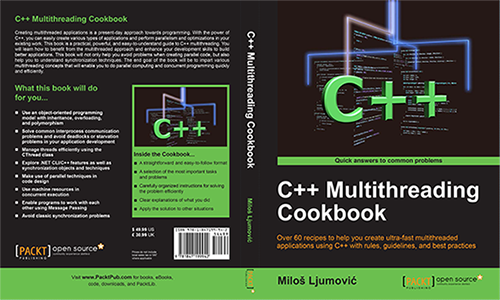 My first international publication is the C++ Multithreading Cookbook. It is great starting point for everyone that wants to learn C++ and multithreading. Long years of experience and great number of completed projects and large number of satisfied customers, is something that should be taken care of.